Neeladri Bhattacharya’s 'The Great Agrarian Conquest', which deals with the undivided Punjab from 1840s-1940s, successfully brings together agrarian and environmental history, two sub-disciplines that have tended to work in isolation from one another. In recent years, our understanding of what the British did (or did not do) in this country has been shaped by ideologues rather than scholars. Born-again patriots produce the Jallianwala Bagh massacre and the Bengal famine as final and conclusive proof that colonialism damaged and deeply degraded India. Latter-day nostalgists answer by holding up the railways as Exhibit A, and the universities as Exhibit B, of how the ruler from afar elevated and educated India. Both sides assemble their arguments mostly from scraps of evidence available online; neither seeks to nuance or complicate their black or white picture with any sort of original research. Into this arena of gladiators has now quietly entered a scholar long admired in the academy, if largely unknown to the overheated world of social media. 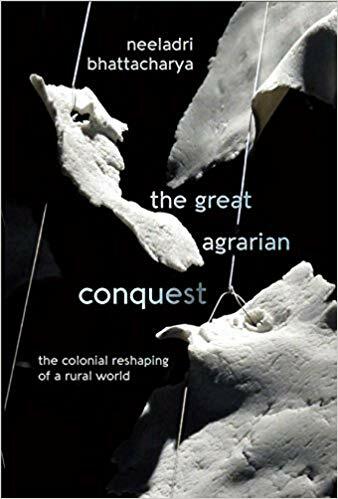 Neeladri Bhattacharya’s The Great Agrarian Conquest draws on decades of research in the archives, as well as on wide reading in sociology, political theory and the law. This is the work of a considerable scholar at the height of his powers, informed by a sharp sense of the messiness and ambiguity of social life as lived on the ground. In method, style and content, it makes for a striking and salutary contrast with the polemical tracts on colonialism that have recently gained attention. Bhattacharya’s book deals with the undivided Punjab from the 1840s to the 1940s – from, as it were, the fall of Maharaja Ranjit Singh to the rise of Master Tara Singh. The first substantive chapter begins with a fictional account, of a contest between a skilled British horseman and an accomplished Sikh horseman. Since the narrative is authored by a colonial official (the celebrated Henry Lawrence), it is the white man who wins. Here, ‘control of the horse comes to signify the capacity to command: a bad rider cannot be a good master’. On the other hand, ‘to control a horse was in some ways to control the world’. British rule in 19th-century Punjab was governed by what Bhattacharya calls the ideology of ‘masculine paternalism’, which ‘celebrated restless energy on horseback’. Thus ‘the dedicated official had to be seen as always on the move, ready for action, guarding the frontier, galloping twenty miles to be on the spot of a dispute, working at a phenomenal pace, surveying, mapping and reordering the lives of people’. Henry Lawrence was himself a benevolent paternalist. After the British took over the Punjab from the Sikhs, he argued that the new rulers had to show respect for native structures of authority and develop affection for their new subjects. However, his boss, the Governor-General, Lord Dalhousie, believed in stern suppression. He wanted, as he proclaimed, ‘the utter destruction and frustration of the Sikh power, the subversion of its dynasty, the subjection of its people. This must be done promptly fully and finally’. Located betwixt and between these two positions was John Lawrence. When he replaced his brother Henry as Chief Commissioner of the Punjab, he urged his officials to replace the informality of personal encounters with a formalised rulebook. And so, as colonialism extended its control more firmly and fully, ‘riding had yielded to writing. Power had now to be structured around rules, codes, memos, letters, estimates, explanations, proposals, sanctions, approvals, and reports’. Or, to put in the categories made famous by Max Weber, traditional and charismatic authority gave way to bureaucratic authority. The province of Punjab was very heterogeneous in social as well as natural terms. Bhattacharya elegantly delineates its different sub-regions: the central alluvial plains, densely populated and dominated by settled cultivation; the arid south-east where rain-fed farming co-existed with pastoralism; the tract in the north-west known as the Bar, where nomads predominated; the desert region, between the Jhelum and the Indus, known as the Thal; the sub-montane hills around Rawalpindi, covered with scrub; the higher mountains of Kullu and Kangra, where terrace cultivation co-existed with rich forests of pine and oak. 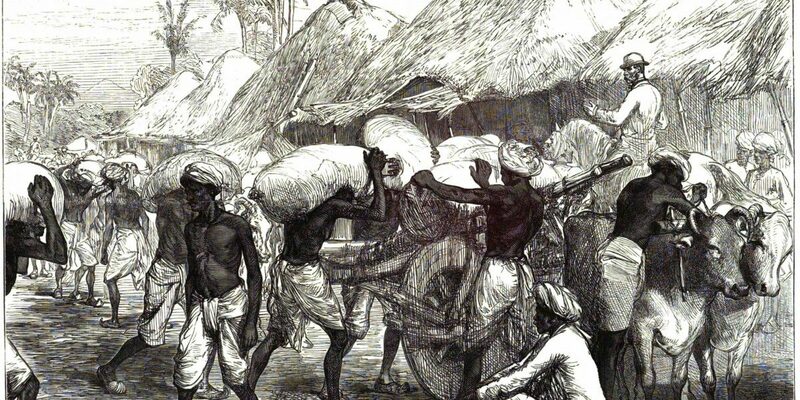 This diversity was sought to be suppressed and flattened by British rule. A key aspect of colonial ideology was that it posited ‘settled agriculture as the norm within the rural’, and ‘denied the legitimacy of other forms of rural livelihood and landscape’. Thus pastoralists, forest dwellers and food gatherers were treated with contempt and condescension by the state, which sought to settle them forcibly in one place while taking over the natural resources they had previously had untrammelled access to. A corollary of the belief that settled cultivation was the norm was the privileging of the village as the unit of state focus and public policy. In the alluvial plains, people lived in villages of several dozen or more houses, the different castes located on different streets. On the other hand, in the more arid areas, where water was scarce, a few houses clustered around a well. This more dispersed form of settlement was frowned upon by the authorities. These scattered hamlets were sought to be consolidated in larger settlements which could be identified and defined as proper, authentic, legitimate, ‘villages’. The Great Agrarian Conquest is at once deeply theoretical as well as solidly empirical. Intrinsic to this imposition of a village-centred social order was the enclosure of the commons. In the past, large tracts of forest and pasture land were outside the ambit of private or state control. Nomadic groups grazed their flocks freely across these uncultivated areas; while cultivators, pastoralists, landless labourers and artisans alike used the commons for fuelwood, thatch, medicinal herbs and the like. Under British rule, however, a series of stringent curbs were imposed. Wooded areas with commercially valuable species such as pine and fir were demarcated as state forests, policed by guards in uniform; previously un-demarcated pasture and shrub land divided up into blocks and allocated to individual villages. Such consolidation helped make the Punjab landscape more legible to the rulers. It was far easier to map, tax and control one large village than many smaller hamlets. Bhattacharya describes how through the actions of colonial surveyors who ‘bounded and demarcated’ them, ‘villages became cartographic truths, each with a name and defined territory’. Meanwhile, when it came to relations between individuals and families within the village, the flexibility of custom was rejected in favour of the fixity of code. Thus, ‘the ambiguities associated with past rights were to be replaced with publicly codified, universally known, and categorically stated rights’. Bhattacharya minutely dissects the complex history of tenurial rights in the Punjab. The rulers sought to define these rights by male-headed households in a village. They prescribed modes of succession and inheritance which ‘consolidated a male brotherhood and patriarchy, marginalizing the rights of women and of those who did not belong to brotherhoods that were defined by blood and lineage’. However, these changes did not go uncontested. A chapter in the book analyses a series of court cases where widows, daughters and sons-in-laws sought to challenge the absolute right of male patriarchs to landed property. Another chapter examines a long narrative poem by a peasant, Lalu of Dabwali Dhab, an elegy for a lost world of co-operation and communal solidarity replaced under the Raj by division and discord. Although its focus is on the Punjab, the book never loses sight of the larger unit of which the province was part. Like modernists everywhere, the British in India preferred the large to the small, the whole to the fragment. That an individual peasant or family owned several plots scattered in different parts of the village dismayed them. So they pressed for consolidation within an existing settlement; and when that failed, created new settlements altogether. The last substantive chapter of this book deals with the Canal Colonies in eastern Punjab, where the British had dug a series of irrigation channels to promote intensive agriculture. A staggering four million acres previously under the control of pastoralists were carved up for agrarian settlement. These areas were demarcated into individual villages built on a standard grid; each with fields likewise drawn and bounded by straight lines. Muslim and Sikh peasants from the west of the province were then brought in to populate these new villages and to work these new fields for profit. These new colonies were very successful in the short run; with large increases in agricultural output, and wheat and cotton flourishing in particular. However, conflicts arose between the new migrants and the pastoral communities who had inhabited these areas before the canals were built. As Bhattacharya writes, ‘the pastoralists were told to stop their cattle straying into cultivated fields, trampling crops, and destroying harvests. Suddenly they were outsiders on land they had for long seen as their own. The immigrants swarmed all over, outnumbered the locals, and asserted their monopoly over what till some years earlier had been the land of the nomads’. Over time, even the economic viability of these new farms came into question, as the salinity of the soil increased with the new water bodies, while new crop strains were attacked by weeds and pests. Neeladri Bhattacharya begins his book with one European horseman, and he ends it with another. In the winter of 1946-47, Malcolm Darling decided to ride through a province he had once served in. In his days in the Punjab cadre of the Indian Civil Service, Darling had been the archetypal paternalist; displaying affection towards the natives, while being absolutely convinced of the benign and beneficial nature of British rule. In a book published in 1925, Darling had written lyrically of the Canal Colonies, seeing them as paradigmatic of ‘the new life brought in by the Pax Brittanica; prosperous, progressive and modern’. Now, two decades later, he came face to face with the ecological costs of that grand scheme; with villagers complaining of the waterlogging that had damaged the earth and suffocated the crops. Darling had hoped to find friendship and respect; instead, he found the villagers ‘restless for freedom’, narrating ‘tales of [the] misery and suffering’ that British rule had brought upon them. The Great Agrarian Conquest is at once deeply theoretical as well as solidly empirical. It elegantly bridges different fields and approaches generally treated in a segmented manner by less accomplished (or less ambitious) historians. It integrates texts with contexts, discursive practices with material reality. This is a history of ideas and of institutions, of livelihood practices and of everyday social relations. It investigates both structure and agency, the reshaping of rural Punjab by a colonial ideology of codification and improvement as well as the actions of individual officials which were often at variance with each other. At the level of method, the great achievement of Bhattacharya’s book is that it successfully brings together agrarian history and environmental history, two sub-disciplines that have tended to work separately and in isolation from one another. Here, however, cultivated fields are analysed in conjunction with water bodies, forests, pastures and scrubland. The human uses (and misuses) of these different but deeply interconnected landscapes are detailed with attention and care. Although its focus is on the Punjab, the book never loses sight of the larger unit of which the province was part. There are illuminating comparisons between Bengal, which the British conquered first, and the Punjab, which they conquered last. The two provinces had very different land systems as well as modes of authority. In other parts of India, the British tended to see Brahmins as custodians of custom and tradition; in the Punjab, on the other hand, they accorded village headmen that role. 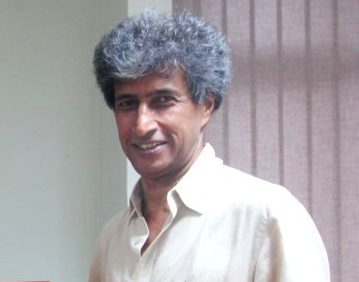 As a lifelong student of colonialism, and a past practitioner of environmental history who himself privileged the forest above the field, I was consistently stimulated and educated by Bhattacharya’s book. I have but one criticism. This is that he should have emphasised more strongly the roots in what the rulers called Home of the colonial agrarian vision. For, in the temperate climate of England, nomadic pastoralists were virtually unknown. There were no deserts in that ‘green and pleasant land’, nor any dense forests either. Growing up in a relatively undifferentiated landscape, dominated by fields and settled cultivation, the colonialists sought to make this the norm in India as well. The Great Agrarian Conquest is a subtle and substantial work of scholarship. If there is one book Indians need to read to understand how colonialism actually worked (or did not work), this is it. Ramachandra Guha’s books include The Unquiet Woods: Ecological Change and Peasant Resistance in the Himalaya.